The flat shooting nature and manageable recoil of the 7mm Rem Mag has made it very popular, especially among plains hunters. 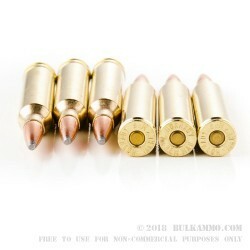 This cartridge sports Hornady’s proprietary InterLock bullet, which has an internal raised ring that keeps the hard-alloyed core and tapered jacket bound together after penetration, helping to retain mass and energy during expansion. 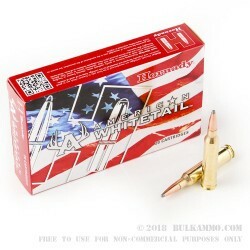 The soft point bullet mushrooms without sacrificing accuracy while you hunt for the whitetails it was designed to take down. Deer season comes only once a year -- spending it firing anything less than ammunition designed specifically for that game isn’t the way to make the most of that short opportunity. 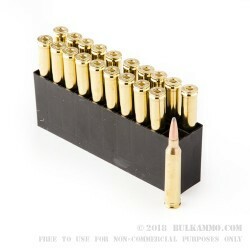 With its pristine non-corrosive Boxer primed brass casing, this is a cartridge that will satisfy the needs of handloading enthusiasts. Hornady actually began its business exclusively by making bullets for handloaders, and still considers their demands while providing ammunition that will satisfy even the most discerning hunter’s standards.